A+ Professional Twin Cities Painting - Handling all things Wall related! Providing commercial & residential Painting services in the Minnesota Twin Cities area! Founded in 2001 by Mr. Willie Cager III, A+ Pro Painting, LLC has provided responsible operations and project management, & business planning for many projects throughout the Twin Cities area. Through its multitude of residential painting projects, hundreds of projects have been able to be completed with overwhelming customer satisfaction. Functioning as a certified minority business enterprise (MBE) & Disadvantaged Business Enterprise (DBE) in the State of Minnesota, A+ Professional Painting is your number one source for representative painting needs. Since the company has expanded in 2013, the commercial painting arm has functioned as a full union workforce Implementing formation of joint ventures with other established companies. A+ Professional Painting is the premier Residential and Commercial wall coverings company in the Twin Cities offering a wide array of professional wall covering services in the 14 County metro area. With over 15+ years in the business of providing professional wall covering services A+ is prepared to handle any project big or small to meet our client’s ultimate objectives. A+ Pro Painting specializes in top quality interior and exterior painting and wall covering to keep your property looking its best. Give your home the comfort and personality it deserves with a new coat of paint. A+ Pro Painters will treat your home with the utmost respect and will provide everything you need to leave your home looking its best at the end of the day. Minnesota’s brutal seasons can cause damage to your homes exterior paint, let A+ Pro Painters provide your home with a beautiful new coat of paint to bring out your homes best potential. Our professionals have the techniques and experience to give your home a new look and protect your biggest investment. We strive to meet all your Commercial & Residential painting needs throughout the Twin Cities, offering a wide array of paint colors and professional wall covering services in the 14 County metro area. Along with wood finishing we also provide Venetian finishes and ceiling texturing services. Big or small job, we have the most elegant and exclusive finishing solution. With our own unique style, A+ Pro Painting offers one of the vastest color range and finishing techniques available on the market for interiors and exteriors walls. 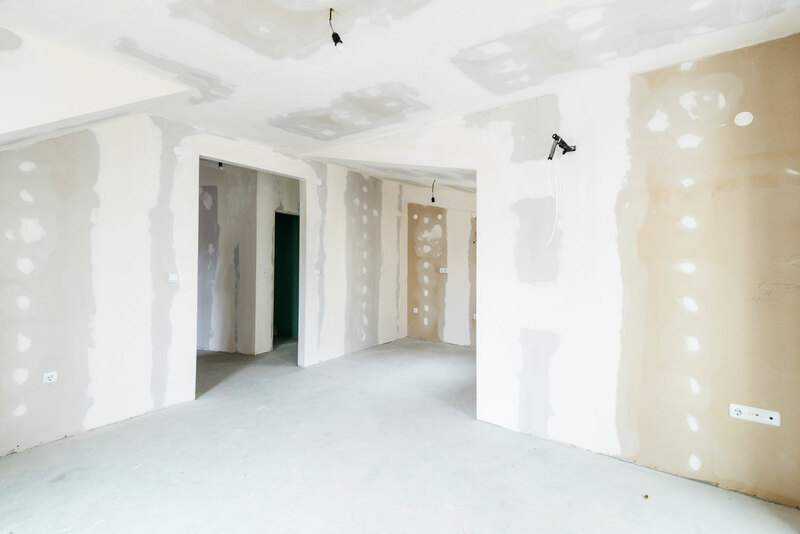 We also provide Knockdown Textured Ceiling Patterns, Popcorn Acoustic Ceiling Texture, and other Acoustic Ceiling Tiles Systems inserting decorative and ornamental plastering, updating fireproofing to current codes and standards, or increasing insulation. The guys from A+ Professional Painting did a great job repainting my master bedroom, master bath, and closet. It was a great experience and the quality of work was top notch. A+ Professional Painting gave us a competitive price and looked after us and our project using quality materials applied by skilled trades people, on time and on budget! Who can ask for more! Overall, I am very satisfied with A+ Painting’s work. I highly recommend the company and I am stoked about my basement finally being painted! It was all so effortless. Great service! Will and his team were excellent!! They were on time, professional and friendly. Beyond painting two rooms in five hours, they repaired cracks and fixed mistakes left behind by previous painters. They moved all the furniture and wall hangings and returned them to the original spots before they left. All for less than the cost I was quoted by other painters to just paint the walls – I would have to do the heavy lifting and supply the paint. I can’t recommend them highly enough. We were thrilled with the painters! They did an excellent job, they were very professional and respectful, and worked really hard all day! We would definitely recommend A+ Professional Painting and use the company again in the future. The painters at A+ Professional Painting did a fantastic job on my office. They were fast, professional and very well organized. Thanks to Will and his team, we were open for business the next day! The place looked great! We used A+ Professional Painting to repaint the exterior of our home in Brooklyn Park. Initially it was in pretty bad shape but now it looks like a brand new home. Great job Will ! Past Projects by A+ Professional Painting! Contact A+ Pro Painting Today!